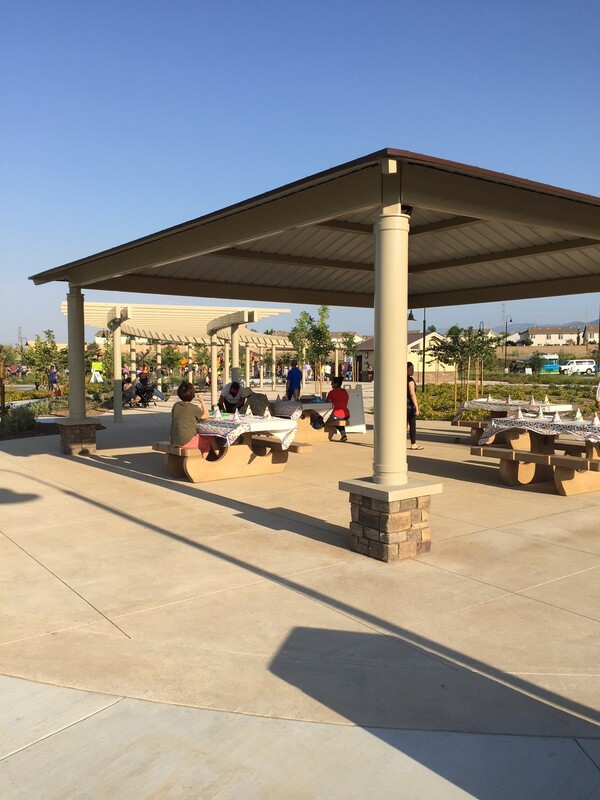 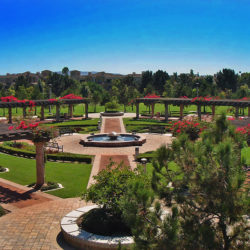 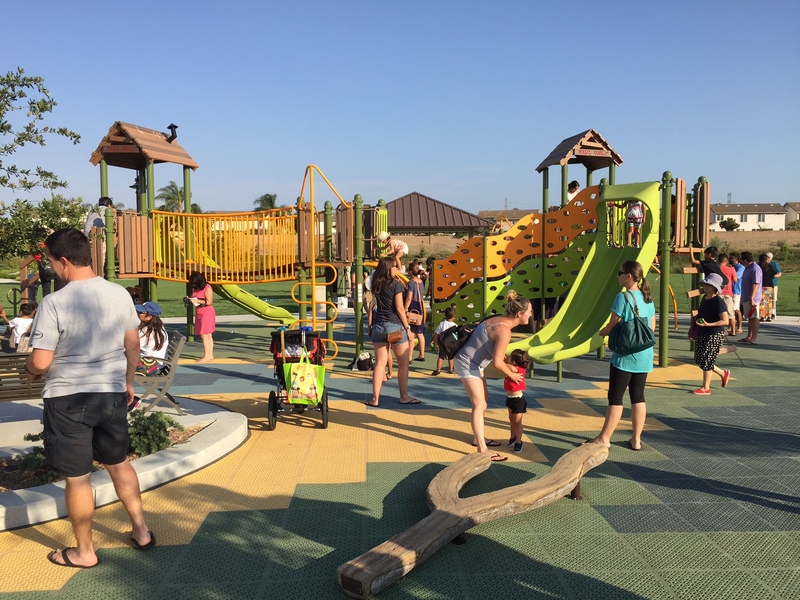 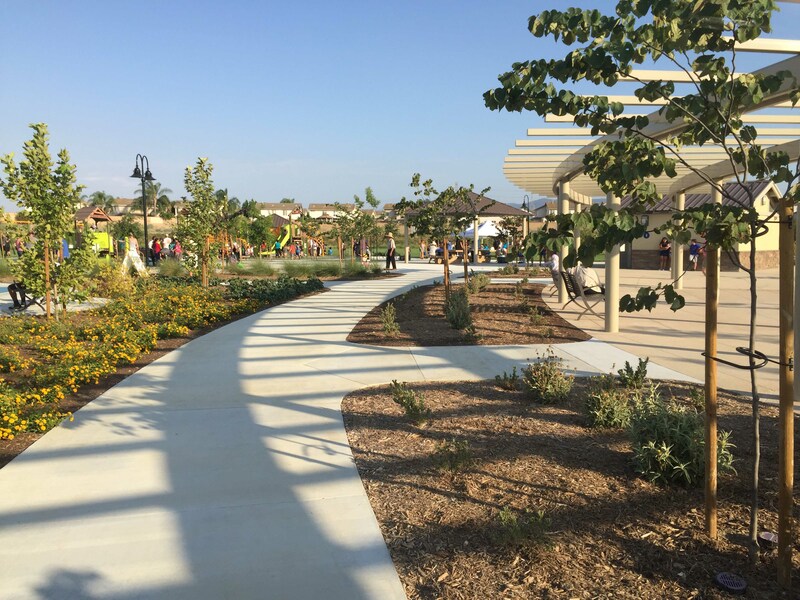 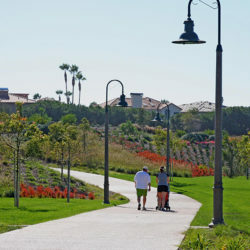 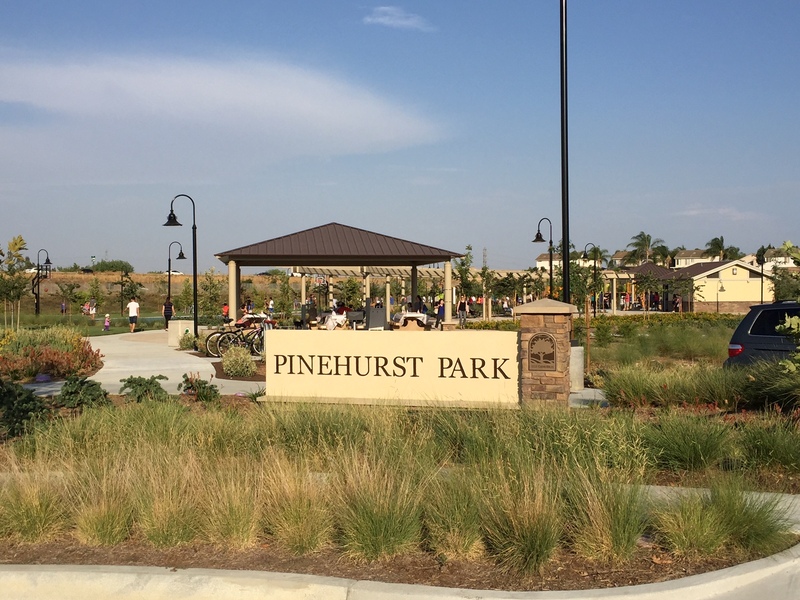 The City of Chino Hills worked hand-in-hand with AvalonBay Communities to develop a neighborhood park that serviced the new condominium complex being constructed as well as the adjacent single family neighborhoods that surrounded the area. 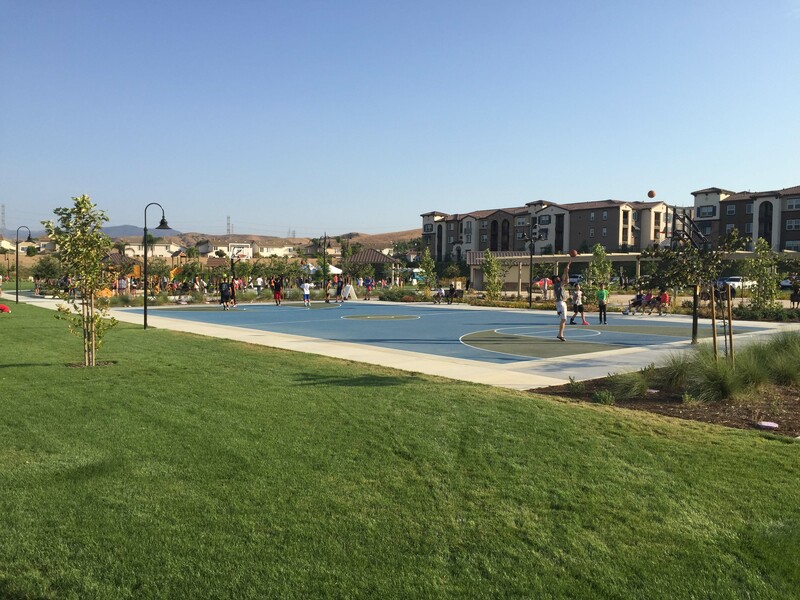 The 14 acre site allowed for large swaths of turf for multi-use recreation, full-court basketball for tournaments, and walking paths that circled around the site providing visitors with a 1/2 mile loop. 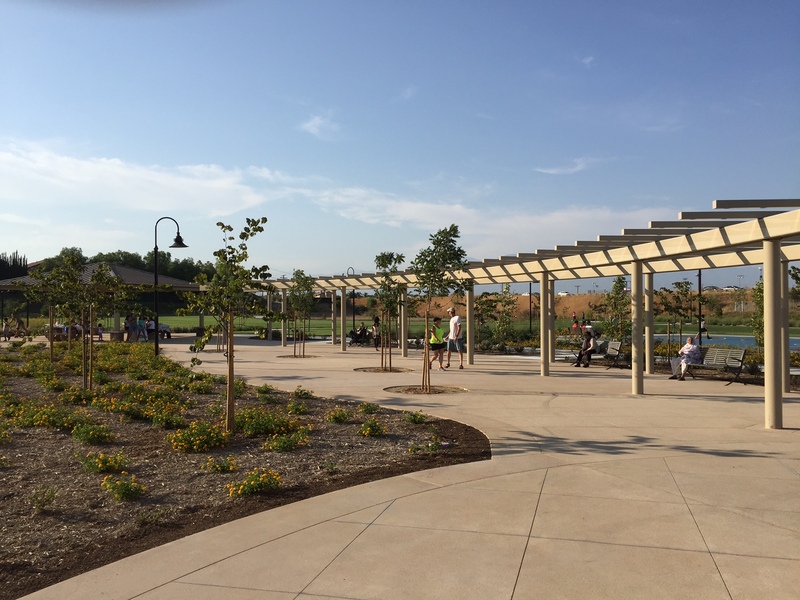 Anchoring the park was the arched, open air trellis structure, flanked on either end by a large picnic shelter that provided party rental opportunities and a restroom building on the opposite end. 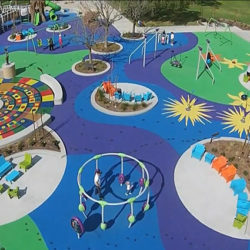 The 6,300 square foot play area was surfaced with resilient rubber matting making it completely accessible, while conversational seating areas for parents were tucked into the area to make them part of the play experience. 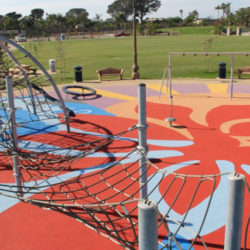 The park’s proximity to the Chino Valley Freeway Route 71 allowed residents to monitor the construction progress of the park making it one of the most anticipated facility openings for the City.